For Sophie, a Year 7 student at Edenham High School in Croydon, focusing in class has not always been easy – and by her own admission she has sometimes lacked patience. "I never paid attention when the teacher was teaching," she says. "I'd get out of my seat and walk out of the classroom and slam the door behind me." 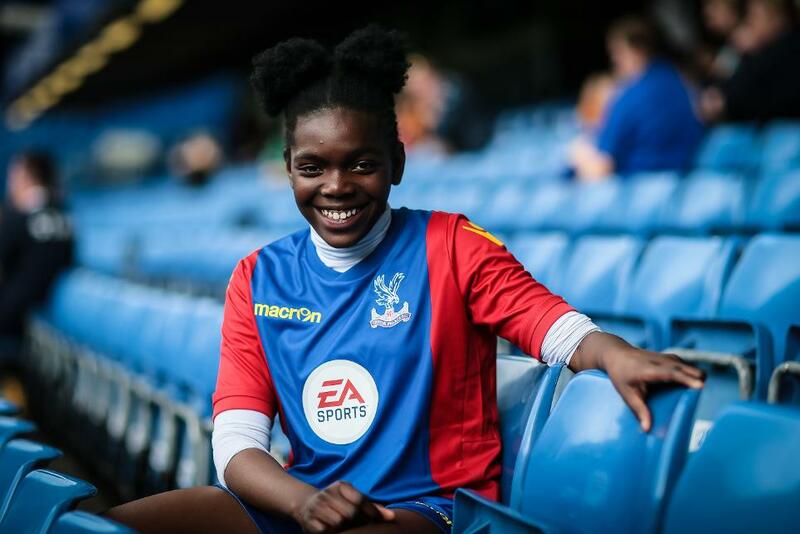 Sophie started playing football during PE lessons last year and in February she was part of the school team that won a regional qualifying competition and earned the right to represent Crystal Palace's Palace for Life Foundation in the Under-13 girls' competition of the Premier League Schools Tournament. 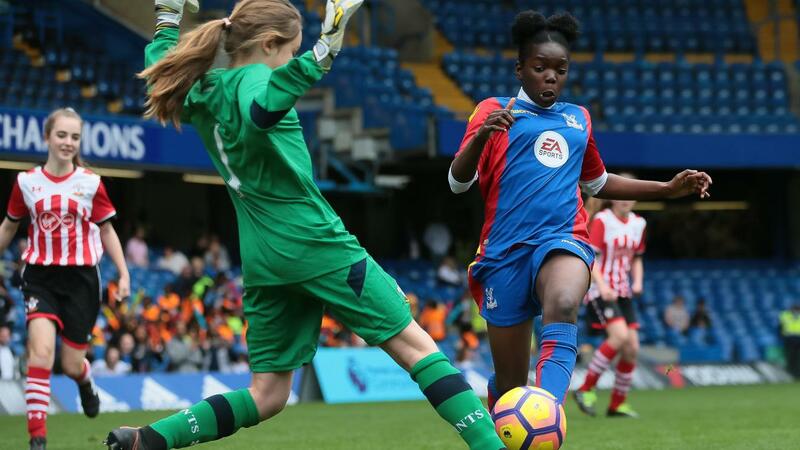 The 12th running of the event took place this week – and the prospect of playing at Chelsea's Stamford Bridge stadium gave her all the motivation she needed to improve her conduct. "It's been a big life-changer," says Sophie. "Because I know what's been at stake for our entire team, my behaviour, learning and attitude has just been amazing. I've been listening in class. "Representing the school, it's a big honour. I didn't want to let my team-mates down. It would have been all my fault if I wasn't able to be part of it. "Football's my life and it's a big part of me. It gets my anger out." 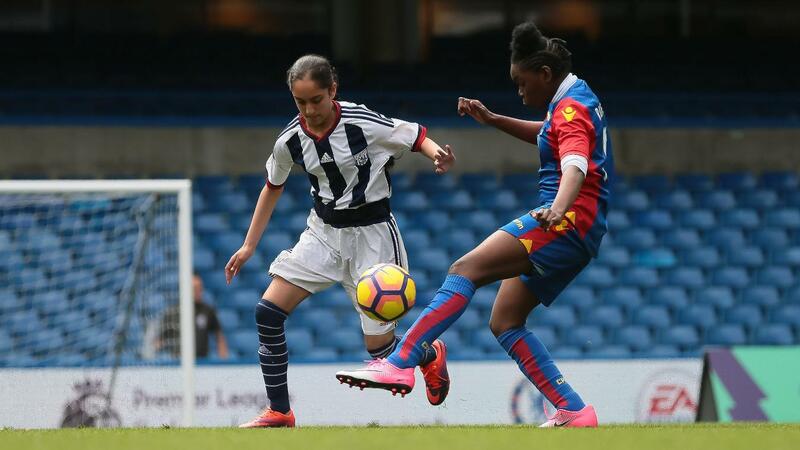 Edenham High School was one of 40 schools taking part in the event, which features schools representing all 20 Premier League clubs, certainy made an impact on Sophie. "I was really nervous [before the tournament]. I had butterflies in my stomach. I didn't sleep at all the night before," she says. "Just walking onto the field that so many players have been on, not a lot of people do it, so it was big. "It makes me feel like I'm a professional. The games have been really good. I'm definitely going to carry on playing." Sophie's PE teacher Gareth Buckley has also noticed the change in her attitude. "It's been in a couple of months, it's been a very quick turnaround," he says. "She was disruptive in class, around the corridors. "Sometimes we work with students over a period of time and they improve slightly and it gets better slowly, but hers was a dramatic change in her focus and her behaviour. "The best thing I've seen about Sophie is when we went to the regional tournament she just took it upon herself to go up to the other teams and start playing football with them. You would never have seen that from her before." Gareth, who is also a women's football coach, believes the PL Schools Tournament raises the profile of girls football. "This kind of atmosphere only benefits them. "Some of these students have hard home lives as well, and we can use this as a way to help them build positive relationships and raise their aspirations, while making them realise that the Premier League care about what they're doing."